Oh this is fun! 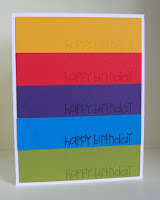 Karen is hosting this week's One Layer Wednesday challenge and the challenge is to remake one of your cards. I chose this one, from almost exactly a year ago (April 12) that should have worked, but didn't quite. I de-layered it by sponging the colours rather than cutting them, lightened the whole thing up by adding some white space and made the sentiment clearer by stamping it in between the colours rather than on them. I hope you'll play along - we've all got cards that deserve to have a makeover! Love your new and improved version, Ardyth! You took the original design and kicked it up a huge notch! The stamping of the sentiment is so lovely! I adore the colors, too! I like the original but I must say I love the redo. Ardyth both are fantastic! No clear winner here. Oh I really love the new version, Ardyth! The sponged colors are definitely softer and absolutely gorgeous - love the illusion of texture. Each card, however, has its own personality (bold versus subtle) so it is really hard to compare them. Wow, AMAZING makeover!! I can't get over it. So in love with your new card. 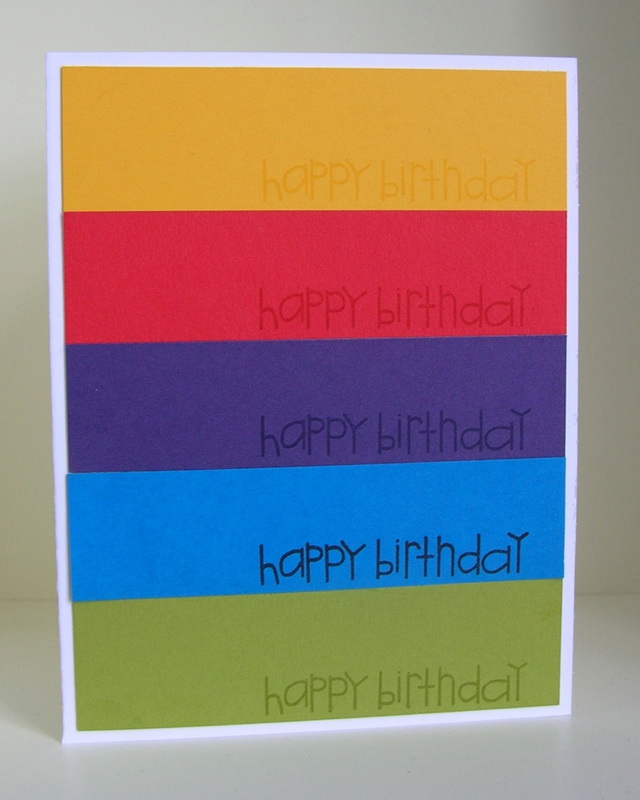 I think the font really helps too ... the right angles really fit into this style of card. 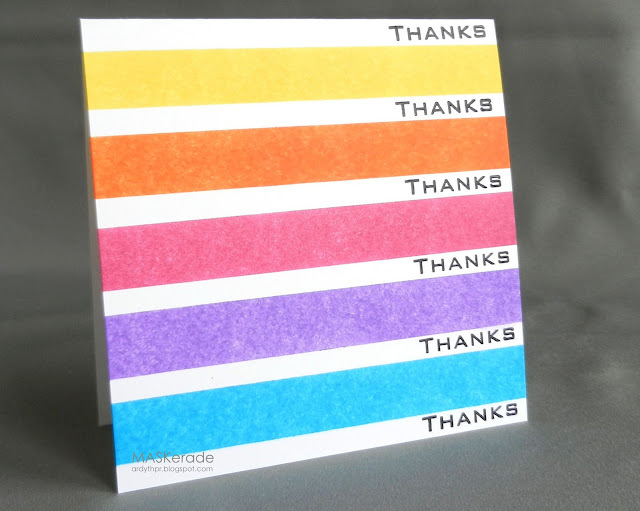 Awesome retake of your card - I especially love e font on the "thanks". I love your redo, but I must say that the original was pretty good too. Wow, it's amazing what a difference such a simple change can make.. Fantastic remake, Ardy! I love the softer colors and the repetition of the "thanks." The recipient is really going to feel thanked!! Your first card was great, but amazingly you improved on greatness. I really like the softer colors and additional white space. Love the remake! The white between the colors really makes the sentiment pop. great card mf...filled with fun!